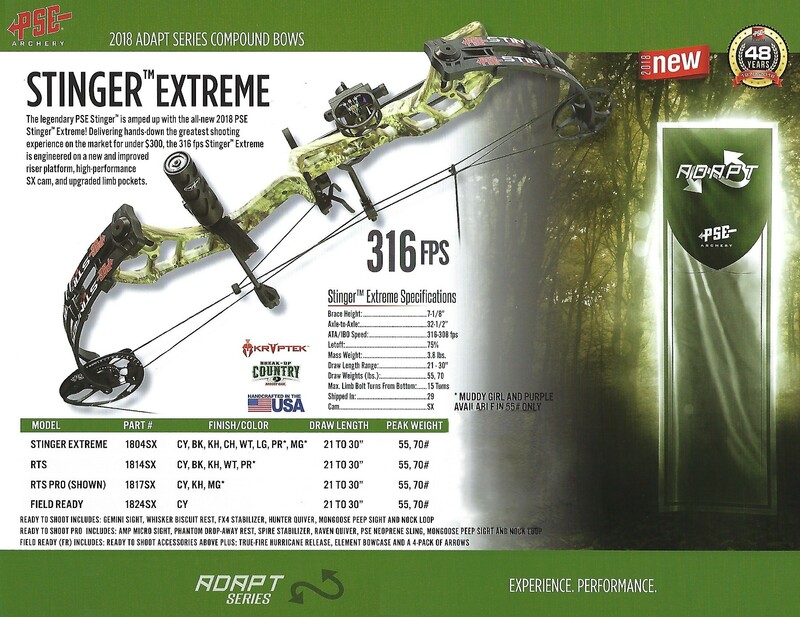 The legendary PSE Stinger Compound Bow is amped up with the all-new 2018 PSE Stinger Extreme ! Delivering hands-down the greatest shooting experience on the market at a great value, the 316 FPS Stinger Extreme is engineered on a new and improved riser platform , High-performance SX cam and upgraded limb pockets . Available in Mossy Oak Country, Black, Kryptek Highlander, Charcoal, Lime Green, Purple, and Muddy Girl. Looking for ideal High Performance SX Cam Manufacturer & supplier ? We have a wide selection at great prices to help you get creative. All the Upgraded Limb Pockets are quality guaranteed. We are China Origin Factory of Improved Riser Platform. If you have any question, please feel free to contact us.